A flare of orange rises above a marshy thicket. This is coast lily (Lilium maritimum), a secretive yet spectacular flower. Large orange flowers are spotted with dark brown, and each petal curves dramatically backward to the stem. Each plant can grow up to 8 feet tall, and have up to 13 flowers. 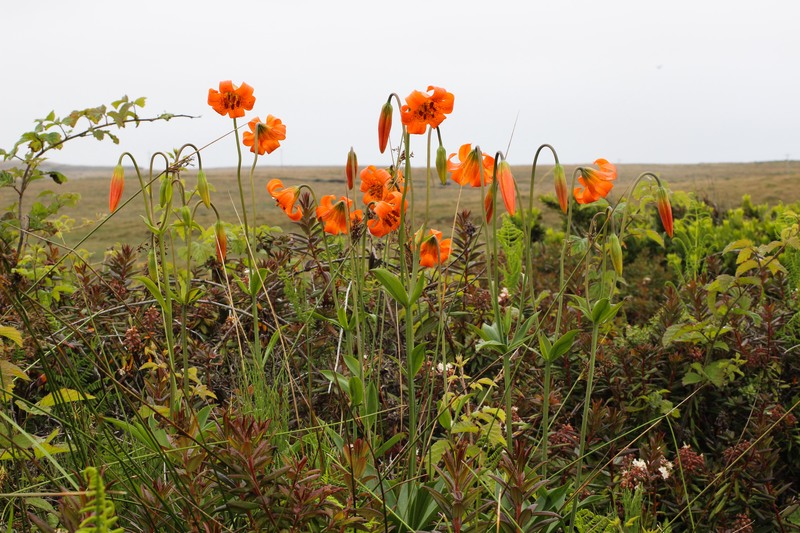 Look for this Northern California endemic in wet, coastal areas. In Marin, it is only found in a handful of places on the Point Reyes Peninsula. It’s a perennial, sprouting from a bulb-like rhizome, so once you find one you can go back and visit it each year. 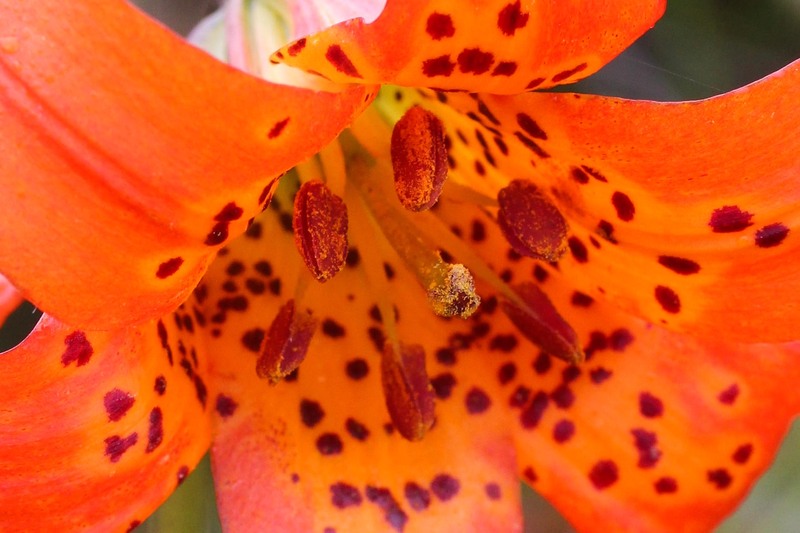 Coast lily can potentially be confused with the more common tiger lily (which it hybridizes with) but you can easily tell the two apart because the first has short stamens tucked well inside the flower, while the second has long stamens that dangle prominently below the bloom.